In 2017, Drupal Association decided not to host a DrupalCon Europe 2018 due to waning attendance and financial losses. They took some time to make the European event more sustainable. 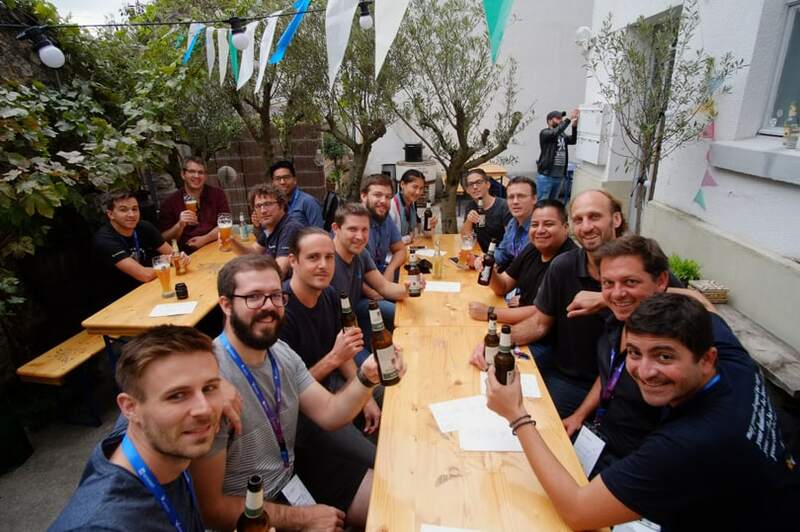 After this, the Drupal community decided to organise a Drupal Europe event in Darmstadt, Germany in 2018. 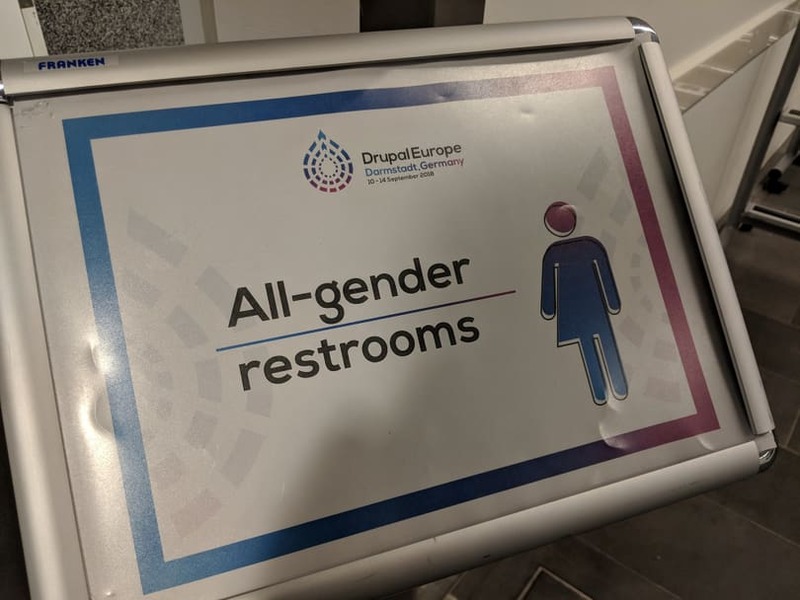 My colleagues and I joined the biggest European Drupal event in October and here is my summary of few talks I really enjoyed! This year, Dries Buytaert focuses on improvements made for Drupal users such as content creators, evaluators and developers. Compared to last year, Drupal 8 contributions increased by 10% and stable modules released by 46%. Moreover, a steady progress is noticeable. Especially in many core initiatives like the last version of Drupal 8 which is shipped with features and improvements created from 4 core initiatives. Drupal took a big step forward for evaluators as it provides a demo profile called “Umami” now. Evaluators have a clear understanding of what kind of websites can be produced by Drupal and how it works by navigating through the demo website. The online documentation on drupal.org has also been reorganized with a clear separation of Drupal 7 and Drupal 8. It provides some getting-started guides too. Finally, a quick-install link is available to have a website running within 3 clicks and 1 minute 27 seconds! Developers experience has been improved as well: minor releases are now supported for 12 months instead of the former 4 weeks. Teams will have more time to plan their updates efficiently. Moreover, Gitlab will be adopted within the next months to manage the code contributions. This modern collaborative tool will encourage more people to participate to projects. Regarding the support of the current Drupal versions, Dries shares that Symfony 3, the base component of Drupal 8 will be end-of-life by 2021. To keep the CMS secure, it implies to be end-of-life by November 2021 and Drupal 9 should be released in 2020. The upgrade from Drupal 8 to Drupal 9 should be smooth as long as you stay current with the minor releases and don’t use modules with deprecated APIs. 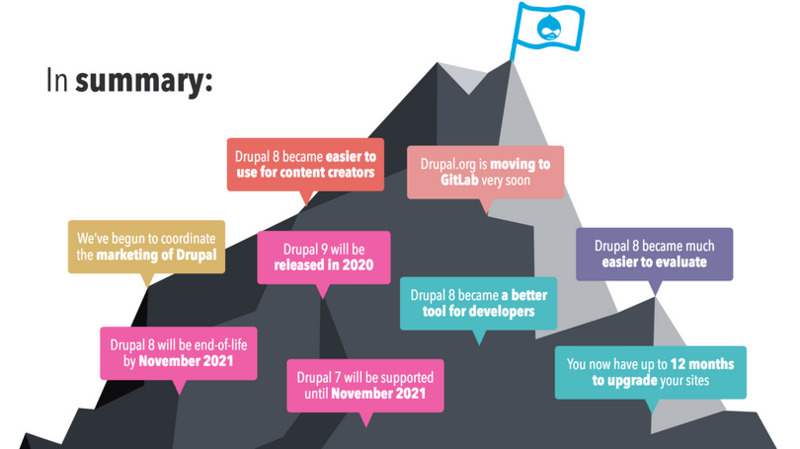 The support of Drupal 7 has been extended to November 2021 as the migration path from Drupal 7 to Drupal 8 is not stable with multilingualism yet. Slide from Driesnote showing current state of Drupal. Last but not least, DrupalCon is coming back next year and will be held in Amsterdam! After a lot of discussions on which JS framework will be used to build the new Drupal administrative experience, React was finally chosen for its popularity. The initiative members wanted to focus on the content editing experience. This affects a big group of Drupal users. The goal was to simplify and modernize the current interface. Furthermore, embracing practices that are familiar to JS developers so they can easier join the Drupal community. On one hand, a UX team ran some user tests. Those showed that users like the flexibility they have with Drupal interface but dislike its complexity usually. A comparative study was ran to know what has been used in other tools or CMSs too. On the other hand, the User Interface (UI) team worked on the redesign of the administrative interface and built a design system based on components. The refreshment of the Seven administration theme is ongoing. Another group worked on prototyping the User Experience (UX) and User Interface (UI) changes with React. For instance, if an editor quits a page without saving they's last changes, a popup appears to restore the last changes. This is possible due to contents stored to the state of the application. If you are interested, you can install the demo and of course join the initiative! Diversity in gender, race, ethnicity, immigration status, disability, religion etc. helps a lot. Proven it makes a team more creative, collaborative and effective. Tara King and Elli Ludwigson who are part of the Drupal Diversity and Inclusion team presented how Drupal is building a stronger and smarter community. The initial need was to make Drupal a safer place for all. Especially for the less visible ones at community events such as women, minorities and people with disabilities. The group addressed several issues, such as racism, sexism, homophobia, language barriers etc. with different efforts and initiatives. 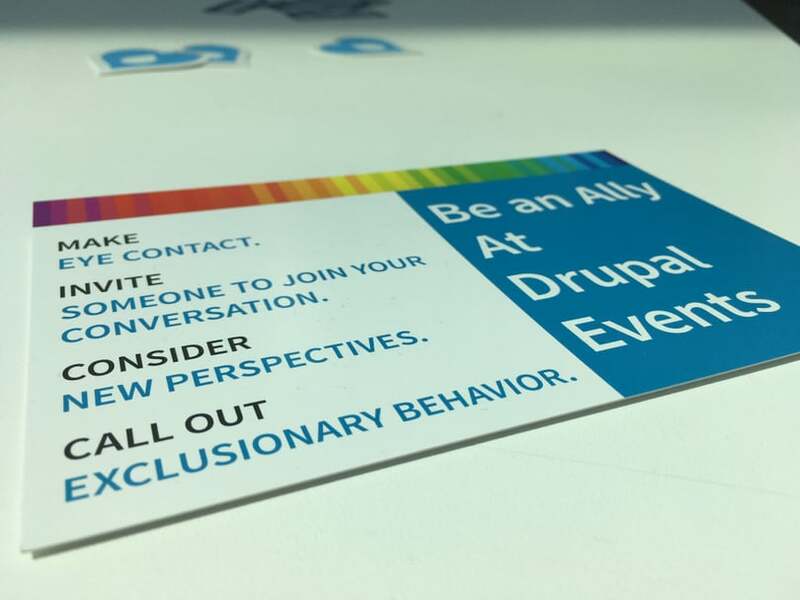 For example, diversity is highlighted and supported in Drupal events: pronoun stickers are distributed, #WeAreDrupal hashtag is used on Twitter and social events are organized for underrepresented people as well. Moreover, the group has released an online resource library, which collects articles about diversity. All of this is ongoing and new initiatives were created. Helping people finding jobs or attracting more diverse people as recruiters are only two to name. If you are interested in the subject and would like to be involved, there are weekly meetings in #diversity-inclusion Drupal Slack channel. You can join the contrib team or work on the issue queue too. Measure your uptime in hours/days: it is important to rebuild and redeploy often to potentially avoid having a compromised system for a long time. Now you are able to incorporate these advice into your dockerfiles in order to build a safer factory than Willy Wonka’s. Before 2016, Michael Schmid and his team worked on fully Drupal projects. Ever since they are working on progressive and fully decoupled projects. A fully decoupled website means that frontend is not handled with Drupal but with a JS framework such as React. This framework is “talking” to Drupal via an API such as GraphQL. It also means, that all interactions from Drupal are gone: views with filters, webforms, comments etc. If a module provides frontend, it is not useable anymore and needs to be somehow re-implemented. When it comes to progressive decoupled websites, frontend stack is still built with Drupal. But some parts are implemented with a JS framework. You can have data provided by APIs or injected from Drupal too. The advantage is that you can benefit from Drupal components and don’t need to re-implement everything. A downside of it are conflicts with CSS styling and build systems handled on both sides. Therefore you need to have a clear understanding of what does what. To be able to run such projects successfully, it is important to train every developer in new technologies: JS has evolved and parts of the logic can be built with it. We can say that backenders can do frontend now. In terms of hiring it means, you can hire full stack developers but also JS engineers. Attracting more developers as they love working with JS frameworks such as React on a global level. Projects are investments which continue over time and expect failures at the beginning. These kinds of projects are more complex than regular Drupal ones, they can fail or go over budget. Learn from your mistakes and share them with your team in retrospectives. It is also very important to celebrate successes! Clients request decoupled projects to have a faster and cooler experience for users. They need to understand that this is an investment that will pay off in the future. Finally, fully decoupled Drupal is a trend for big projects and other CMSs are already using decoupled out of the box. Drupal needs to focus on a better editor experience and a better API. There might also be projects that require simple backend edition instead of Drupal. In 2017, 59% of Drupal users were still downloading modules from drupal.org. In other words, more than half of the users didn’t have any automatisation processes to install modules. Knowing that critical security updates were released in the past months and it is only a matter of hours until a website gets potentially hacked, it comes crucial to have a process to automate these updates. The update can be quite complex and may take time: installing the update, reviewing the changes, deploying on a test environment, testing either automatically or manually and deploying on production. However this process can be simplify with automation in place. There is a core initiative to support small-to-medium sites owners that usually are not taking care of security updates. The idea is a process to download the code and update sources in the Drupal directory. 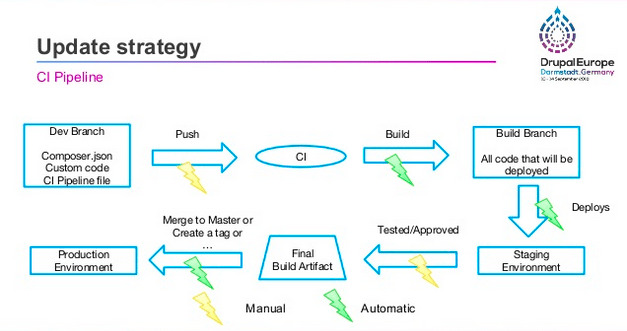 For more complex websites, automating the composer workflow with a CI pipeline is recommended. Everytime a security update is released, the developer pushes it manually in the pipeline. The CI system builds an installation containing the security fix within a new branch. This will be deployed automatically to a non-productive environment where tests can be done and build approved. Changes can be merged and deployed on production afterwards. To go further, the update_runner module focuses on automatizing the first part by detecting an update and firing up a push for an update job. We are back with fresh ideas, things we are curious to try and learnings from great talks! We joined social events in the evenings too. Therefore we exchanged with other drupalists, in particular with the Swiss Drupal community! This week went so fast. Thank you Drupal Europe organizers for making this event possible! 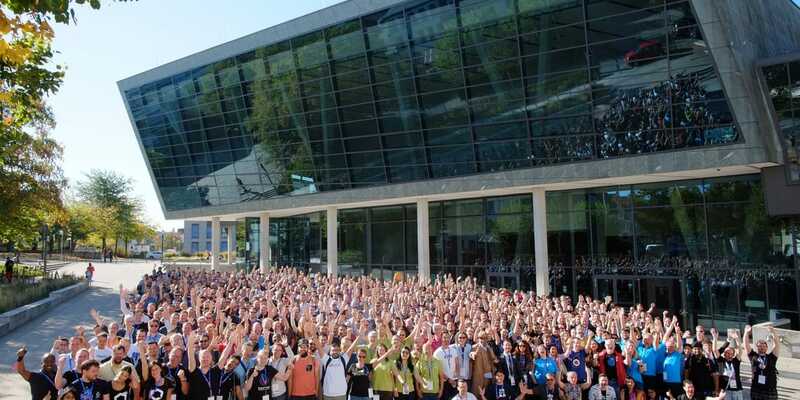 Header image credits: Official Group Photo Drupal Europe Darmstadt 2018 by Josef Dabernig, license CC BY-NC-SA 2.0.